Hair fall is an issue faced by millions of women across the globe. It is generally not an issue if it is mild. But, some people face excessive hair fall which can lead to baldness. The causes of hair fall can be varied. Some face it due to prolonged ailments, genetics, poor diet, or any underlying medical conditions, while some owe it to environmental factors like chlorinated water, pollution, and exposure to heat and chemicals. Hair fall can be cured if you treat it from the root itself. There are a number of medications and oils available in the market that claim to solve hair fall issues. But, using them can be quite risky as may have numerous side effects. When it comes to your hair, it is better to rely on natural products alone. One such product is castor oil. 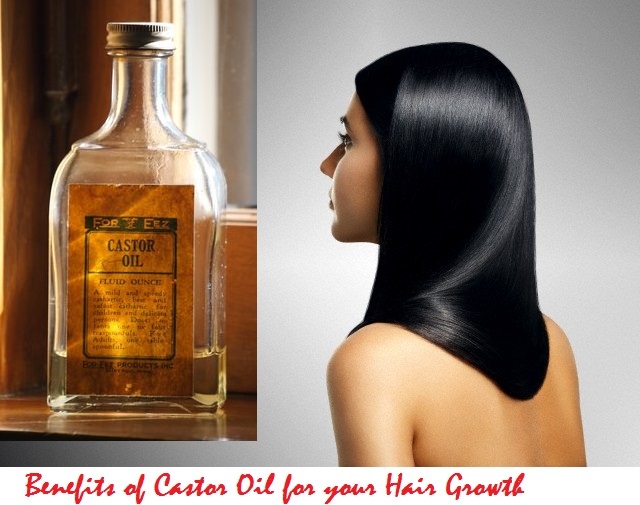 Castor oil has been use since ages for treating hair fall and other issues of the hair. It is really effective and offers you long term benefits. From the seeds of the castor plant, thick oil can be derived. This is commonly known as castor oil. The scientific name is Ricinus communis. This oil contains lots of omega 9 fatty acids and all essential vitamins. The benefits of castor oil are just numerous. All these properties make it a very common treatment for hair loss, constipation, and a number of other disorders too. The unprocessed and raw castor oil is the one which is the best one for the purpose of hair growth. Once processed, the oil may lose the extraordinary results it had earlier. The natural healing properties which are utilized for the hair treatment are lost out in this process. So, get a pack of raw castor oil for your hair loss treatment. There is no special formulation required for the hair loss treatment using castor oil. As such, it is really easy. Take some castor oil in your palms and rub well. Now, apply this oil in your hair. Start right at the roots and start working al through your hair to the tips. Apply as you would normally apply your oil. Massage well after the application so that the castor oil is absorbed well in to your hair. The density of the oil is too thick. This may make it really difficult to wash out, in case you have put on a lot of oil. So, just use the oil in moderate amounts, and do not use in excess. Leave the oil in your hair for about 15 to 20 minutes. The time frame wil allow the oil to settle in to your hair and scalp. Wash off using tepid water and shampoo. Make sure your scalp gets clean. It is a good idea to put on the oil overnight. Apply the oil in your hair before you go to sleep at night. Leave it on and wash off the next morning. The oil may stain your bed linen. So, make sure you cover your head using a towel. You could use any clean, cotton cloth for the purpose. Peppermint oil or any other stimulant oils can be added with castor oil before you apply it. This adds further effect to the oil. Castor oil is really thick in consistency. So, removing the oil is a bit of a tough job. You need to be very careful in rinsing out all the oil completely to keep your scalp clean. A good clarifying shampoo will be needed for this shampoo. Wash your hair twice with this shampoo to clear your hair. About half a hour before you take the shower, apply a conditioner on your hair. This will help you out in clearing off the oil. One thing you need to note is that the conditioner should never come in direct contact with your scalp. If the conditioner contains silicon, you need to be extra careful about this point. Any other oil like grape seed oil, almond oil, or rosemary oil can be added to the castor oil before you apply. This will make your oil mixture get added benefits, along with making it lighter. The consistency of the oil is made lighter, and that makes it easier to apply and then wash off. Castor oil has got lots of benefits for your hair. Here are a few of them. It is a really good treatment for hair loss issue. Castor oil contains essential vitamins, which are very important for healthy and strong hair. These vitamins make it really good for your hair. A number of other hair conditions are also treated using the oil. The rate of hair growth is promoted in multiple ways if you use castor oil. The scalp is stimulated when you rub the oil thoroughly in to your scalp. Circulation to the hair follicles gets a boost, and that makes them healthier. It gets inclined to produce more hair, and your hair growth rate is considerably increased. Castor oil can also be taken orally. Oral consumption has also proven to have a similar effect as the above. Your scalp gets moisturized from inside and also outside. This makes sure all your dry, brittle and rough hair is treated and also prevented. Your hair starts appearing even better and healthier. Castor oil has got lots of antiseptic and antifungal properties. As such, it is very good for improving the quality of your scalp. All infection causing organisms are destroyed to clear up your scalp and make the growth of hair easier and faster. So, as you see, castor oil is actually “magic oil” for your hair. It has numerous benefits on your hair growth and even the health of your hair. Applying castor oil also helps in growing your eye lashes and eye brows. It is easily available at any market or medical shop. Grab your bottle right away and make full use of all its benefits. Flaunt your thick and beautiful hair. I must say that i have heard about jamaican black castor oil in the past and how it has worked wonders for people but i never really tried it… i finally took the leap 3 months aggo and to cut a long story short the results are just awesome! this is the first hair care product that actually keeps my hair moist… and grow my edges at the same time.